This app helps players to choose numbers with an algorithm, UNIQUE IN THE WORLD for Cash4Life draws. 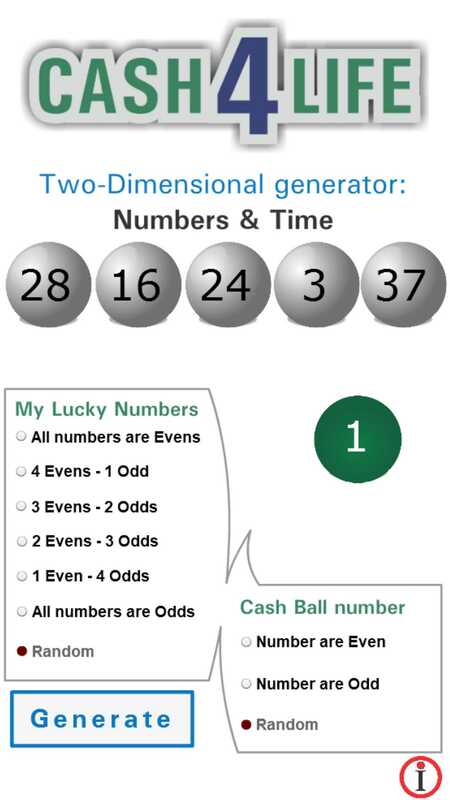 There is also a random option for Lucky Numbers and Cash Ball Number that generates numbers randomly but in a certain time. In reality, each of the number is chosen in a certain time. In this app numbers are chosen using an algorithm that is specially designed for this app. This is a two-dimensional app, and it generates numbers that contain in the specially developed algorithm. This method is unique in the world that acts like real lottery draw. Like real lottery, this algorithm allows the player to choose the number in a certain time. For that reason, it automatically generates both time and number. 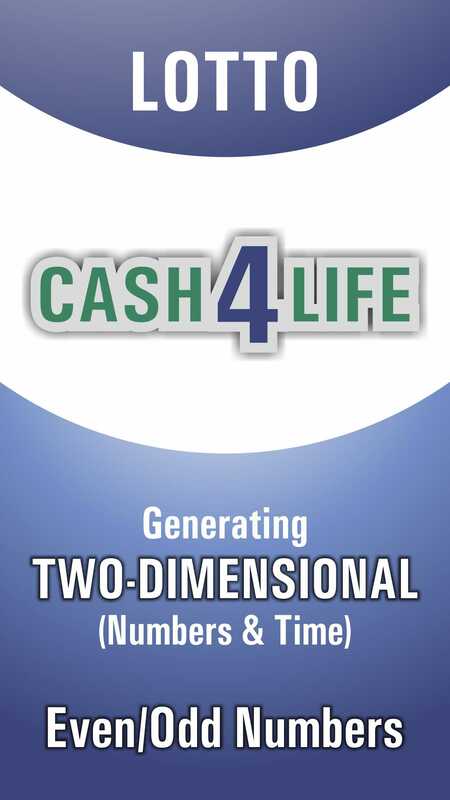 This unique feature of the Cash4Life app makes it similar to real life Cash4Life game. 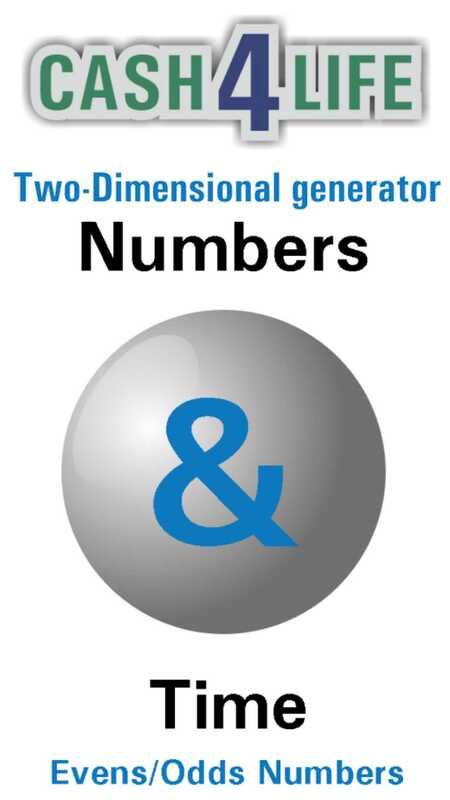 While you are using this app, you can select the number of even and odd numbers to be generated by the app. There is also an option available for selecting random lucky numbers and some additional numbers; however, that can also be generated in a certain time period. The current overall odds of winning are approximately 1:7.76. Select five numbers between 1-60 and one Cash Ball number between 1-4. Disclaimer: This application has no link in no way with an Cash4Life organism and it does not allow to participate in the official game of the Cash4Life. Drawings are held Monday and Thursday nights at 9:00 p.m., Eastern Time. Tickets may be purchased until 8:30 p.m., Eastern Time, on the night of the drawing. Tickets purchased after that time will be for the next drawing.